According to Dr. Lenny Wells, there have been numerous calls with reports of ambrosia beetle damage on newly planted pecan trees. So far, this has occurred mostly on later planted trees, which are still undergoing some transplant shock, generating some stress on the tree, which attracts the beetles. Earlier planted trees in the same orchards do not seem to be receiving these initial hits but the beetles can move to non-stressed trees. Any form of stress (water-logging, drought, etc.) can stimulate the beetles to attack. 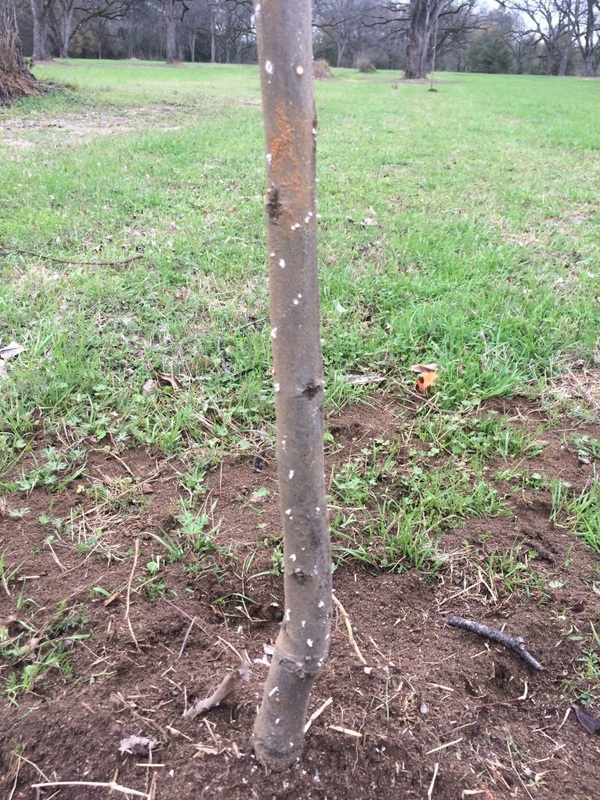 Growers who planted trees this year should check newly planted trees closely for signs of damage by ambrosia beetles (toothpick-like sawdust tubes sticking out of attack holes as seen in photo above). If damage is found, apply a pyrethroid insecticide to the trunk of the trees. 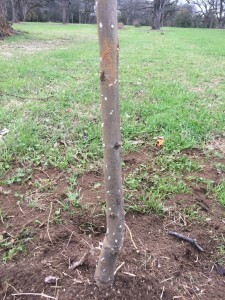 Normally, beetle damage is worse on young trees from newly planted to 6 yrs old. It’s also a good idea to apply an insecticide to newly planted and young trees as a preventative treatment for ambrosia beetles.